Dell Technologies will buy out its tracking stock to give it greater control over VMware, a person familiar with the matter said. While VMware will remain independent for now, the move could make it easier for Dell to buy out the rest of the software maker later on. Dell, the world’s largest private technology company, could announce as soon as Monday a proposed share swap to acquire the DVMT tracking stock, currently valued at about US$17-billion, said the person, asking not to be identified discussing a private matter. VMware’s total market value is about $60-billion. Spokesmen for Dell and VMware declined to comment on the news, which was reported by the Wall Street Journal and other media earlier on Sunday. 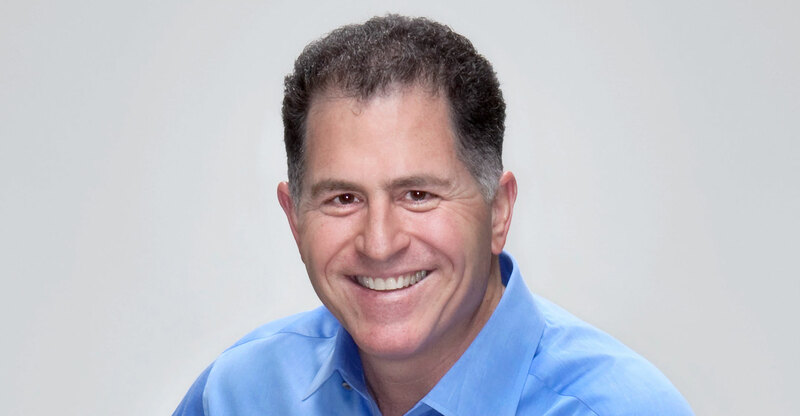 Founder Michael Dell has considered a variety of options to streamline his multi-company tech empire and help the business manage a massive debt load. Other options have included a Dell public offering or combination with VMware, Dell said in a January filing. The company was leaning against a reverse merger with VMware, people familiar with the matter said in April. The current structure of Dell’s companies is tangled. Dell took the company private for about $25-billion in 2013 with investment firm Silver Lake. The tracking stock was created to help Dell finance its $67-billion purchase of data storage company EMC in 2016, the largest technology takeover ever at the time. The deal was mostly cash, but the rest was paid through the new security linked to part of EMC’s interest in VMware. EMC owned a controlling stake in VMware and the rest of VMware is publicly traded, as is the DVMT tracking stock. DVMT has almost doubled since the stock was issued, closing at $84.58 on Friday. VMware, based in Palo Alto, California, makes virtualisation software that helps maximise workloads on servers, as well as cloud and device management tools. Round Rock, Texas-based Dell will offer DVMT shareholders “significantly” more of its privately held shares than cash, CNBC reported, citing people familiar with the matter. DVMT will be acquired at a premium in line with standard transactions, CNBC said. VMware will pay a $9-billion dividend to DVMT shareholders as part of the agreement, according to CNBC. The transaction will give Dell more direct influence over VMware’s future, CNBC reported. VMware is more than 80% controlled by holders of the Dell tracking stock and Dell’s DHI shareholders — Michael Dell and Silver Lake. Eventually, Dell could pursue a merger with VMware, CNBC said, citing the people familiar with the discussions. Once a household name for its line of PCs, Dell has expanded to compete in a broader swathe of the IT market. It’s now known for its lineup of servers, storage hardware and networking gear. Through its EMC acquisition, it also now has a growing suite of software tools in its arsenal. The company has sought a symbiotic relationship with its hardware and software — chasing closer integration between the two and selling both to customers to extract higher profit margins. The company, which missed out on the cloud computing wave, has tried to develop next-generation solutions to enable the Internet of things, in which everyday devices will be digitally connected and businesses will need more computing power away from centralised data centres. It has tried to revamp itself as a cloud player by offering customers software from a suite of smaller companies in which it’s invested, in a bid to take back sales from Amazon.com and Microsoft. Dell has fostered tighter product integration with VMware that help manage customer workloads with Dell hardware and VMware software. The companies also each sell each other’s products to existing and new customers.